Your Mattress Is Memory Foam, So Why Aren't Your Slippers? What footwear do you wear in your house? You take your shoes off, of course. You aren’t an animal. But what then? Are you just sliding around in increasingly filthy socks? Do you have worn-through sandals from summer camp? 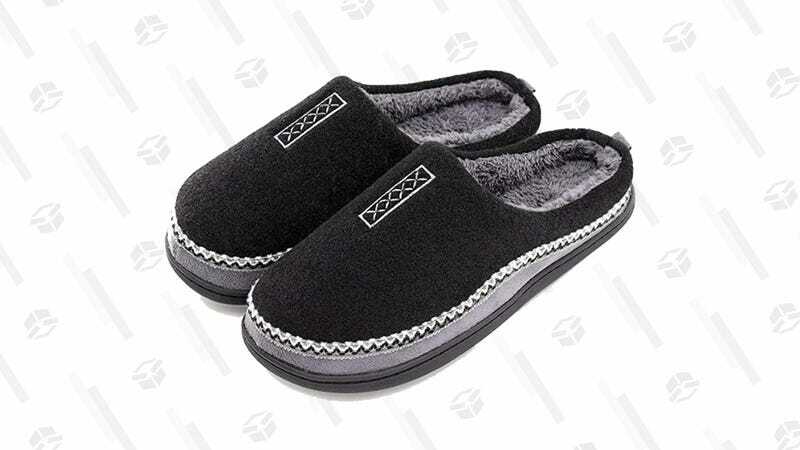 Or do you, like me, have memory foam slippers you got for less than $20? They’re warm, sure. And they’re cozy. But that plush, insulated layer never gets to be too much; you’re never too warm. Similarly, these slippers know that less is more. The fabric is comfortable without being cloying. And oh boy, that memory foam. This memory foam is what gives the slipper its worth. This feels like a shoe, a thick cloud of peace and comfort sturdy enough to support you after a long day. 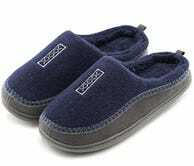 The slippers are deeply comfortable, but they’re not flimsy in the least. There’s a moon-walking effect to them, a zero-gravity peace. This is how Rick Ross must feel every day. If you’re a fashionista, you’ll be happy to know that these slippers look good. They’re an inexpensive luxury that doesn’t scream cheap, and a real step up from mismatched socks. Impress your regrettable one-night stands with your lush slippers! They invoke class and authority in the time you need it most. It’s the best way to class up your out-of-bed outfit; it’s the tie of pajama-wear. This is the rare slipper with no downside. You know what I mean. Some are warm, but too warm, or cheap, but too cheap. Some are rigid plastic numbers covered in faux-fur. Getting to the sweet spot of a usable slipper can be oddly difficult—yet this slipper dominates competitors far above its price-point. Plus, they’re $19. Nineteen bucks for fewer cold floors, for taking a load off after a long day, for discreetly sneaking into frame for a #Sunday post. Nineteen bucks for a house-shoe that can be a home-shoe.